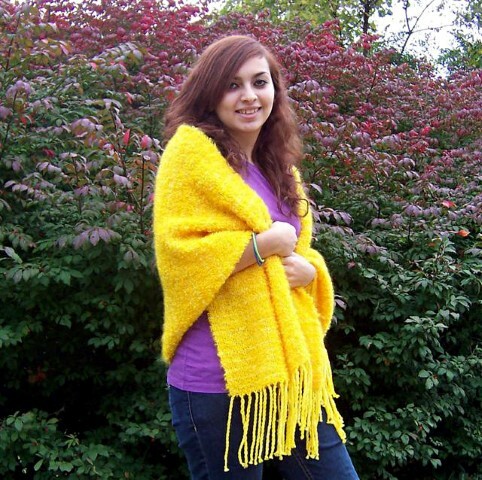 On this web-site you will find all handmade items, made from natural fibers, wool, alpaca and cotton. My name is Debbie Cutler. I live in Ivydale WV. with my husband Gary. We lived in NJ where we raised our two sons Jason & Jesse. I was fortunate to meet a spinner /weaver...thrilled that the crafts were still alive. Our families became friends and she was kind enough to teach me how to spin and weave, using her equipment and her wool fiber. That Christmas I received my first spinning wheel kit from Clemes & Clemes and the miscellaneous tools needed for the whole process of spinning my own yarn and removing it from the wheel into the ball of yarn. I joined the Third Star Fiber Artist Guild and met many talented spinners & weavers. 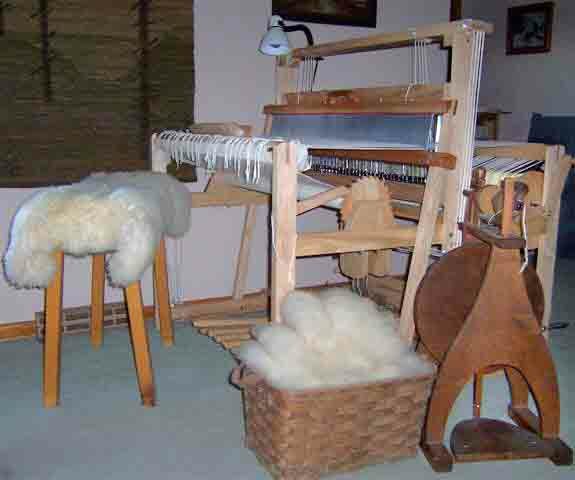 When I obtained a Patrick Green Drum Carder I was ready to process the wool from our own sheep, a Corriedale-Romney mix named Arthur. My family and friends received hats & slippers made from my handspun yarn. Gary and the boys had been rafting on the New River here in West Virginia. It is a beautiful mountainous state not to far away from our family & friends in south Jersey so we packed up and moved to this wonderful state in 1992. We became caretakers on a large farm outside of Ivydale. Gary and Jason own and operate Cutler Logging LLC. They specialize in forest management. Jesse lives in Florida and owns and operates Palm Ridge Honey as well as helping other bee keepers. My parents called one day to tell me my Dad spotted a loom on a side street curbside trash pickup pile, in their town in Florida. On their next visit they would bring it, much to my surprise it was a 22" Harrisville Floor Loom. Amazing! I started weaving blankets, table runners, and place mats. The blankets were woven in 3 pieces then sewed together. 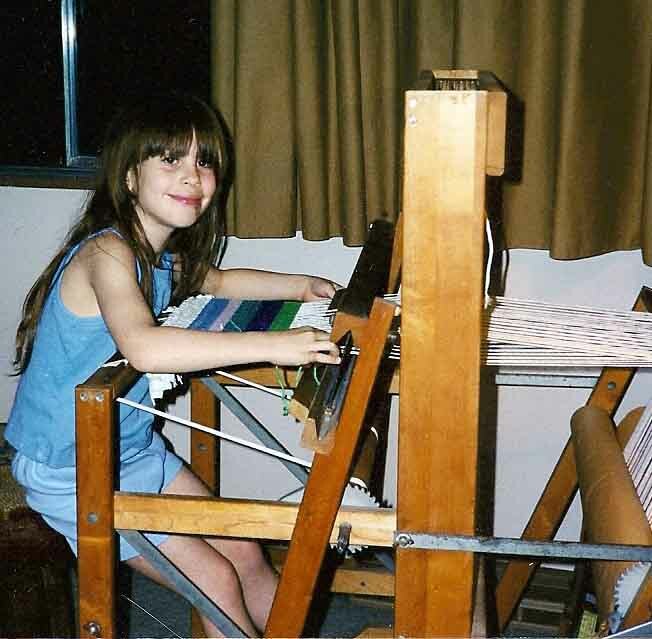 I mentioned to Gary I would love to have a wider loom to work with. He said," if you can find plans I will build it." There were plans for a 45" floor loom from Harrisville Design. He built It... it turned out great! When he built the Wool Picker it made life easier to process the wool & alpaca fiber that I spent many hours handpicking. In 2004 I juried into Tamarack in Beckley WV. It is an amazing place where they sell only WV handmade products. I am a member of the WV Heritage Artisan Guild. We have many talented ladies with diverse interest. 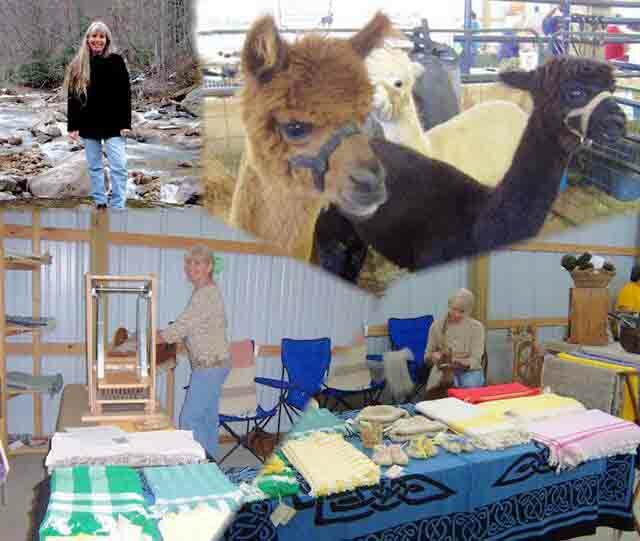 Quilters, primitive rug hookers, seamstress, spinners, alpaca, sheep, crochet and knitters. Gary and I do several craft and fiber shows each year. The items offered at the shows are here on the web-site and are made from natural fibers, except for the survival bracelets Gary makes from paracord. The Wool Picker Plans are offered here on Willow Dell Fibers as well. I am blessed to have: a cottage craft that I love doing, a woodworking husband that loves to build things and family and friends that give their love and support . We hope you enjoy browsing through the web-site. Thank you for the visit. Big Coal River Heritage Festival in Racine, Boone County. Sept. 24. 10:00 a.m. to 4:00 p.m.
Oct15 9:00 a.m. to 3:00 p.m.
Paypal- All major credit cards accepted through Paypal, even if you don't have a Paypal account. You will receive an invoice from Paypal. Personal Check (shipped after check has cleared). No Cash or C.O.D. orders accepted. Shipping cost will be adjusted (reduced) after order for multiple items. You can special order. lf you would like a different colored handspun yarn for a hat or slippers. The colors I have on hand are: grey, light or dark brown, and white alpaca fleeces. Grey and white wool fleece. The rag rugs will vary in color, I purchase my wool material from Pendleton Woolen Mills, never knowing what colors they will send. If there is any special request, please let me know.